This three-year partnership will bring the Official Coffee of ArtPrize and a one-night Latte Art Throwdown competition to the 19-day event this fall. GRAND RAPIDS, Michigan (July 28, 2016) -- ArtPrize, the radically open international art competition decided equally by public vote and expert jury, today announced a new three-year partnership with Ferris Coffee & Nut -- a family-owned and -operated company dedicated to making the craft of great coffee approachable to the communities it serves. This dynamic partnership and sponsor activation will bring the Official Coffee of ArtPrize, as well as a one-night Latte Art Throwdown competition, to the eighth annual event -- slated to take place from September 21-October 9, 2016. The ArtPrize Eight theme and design aesthetic is inspired by the creative tension that exists within the fabric of the event -- between art and viewer, artist and venue, public and juried vote. 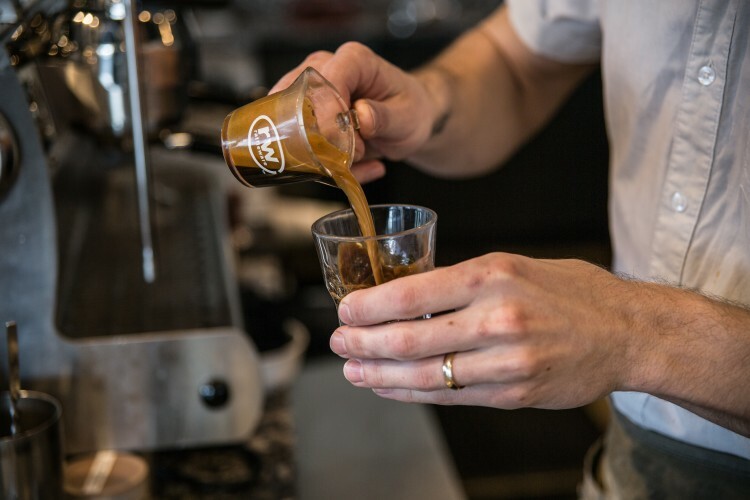 To highlight this tension, the Ferris Coffee team set out to develop a coffee duo featuring contrasting flavors intended to encourage visitors and coffee lovers to step outside of their comfort zones, to try something new and unexpected. “Given the theme of ArtPrize this year, we wanted to explore the idea of getting people out of their comfort zone through contrasting flavors in coffee,” explained Ferris’ Director of Coffee, Sam Mirto. “To do this, we sourced a very nuanced coffee from Ethiopia called Ayehu and roasted it two ways. As a lighter roast, this coffee has the clean fruit characteristics commonly associated with naturally processed Ethiopians. Roasted darker, the fruit remains present with some added notes of bittersweet chocolate. This concept positions the consumer at the center of the light-vs-dark roast debate and allows them to challenge their preferences and create their own experience. The Official Coffee of ArtPrize -- sold in 100% compostable packaging -- will be available to purchase at the ArtPrize HUB HQ and select retailers throughout the 19-day event this fall. Visitors will also have the opportunity to taste Ferris Coffee, including the official brew, across the ArtPrize district -- with the Ferris Coffee Truck making pop-up appearances throughout the city and at milestone ArtPrize Eight events. “Appropriately, we sourced a very similar Ethiopian coffee for Founders’ Pale Joe - the official beer of ArtPrize 2016. The bright, nuanced fruit characteristics of the coffee really hold up well in the beer. It’s super crushable and refreshing,” said Mirto. On the evening of September 29, Ferris Coffee will hold a Latte Art Throwdown on the Rosa Parks Circle stage. Baristas from across the country will compete for cash prizes and bragging rights in a no-holds-barred bracket-style throwdown -- employing the mediums of milk and espresso to form flowers, hearts and rosettas in their cups. The competition will feature multiple one-on-one rounds, narrowing down the field to a final winner -- and the entire evening will be streamed live on the big screen so that visitors can get as close a look at the results as the judges. Local DJ Adrian Butler will be on the scene, and visitors can visit the Ferris Coffee Truck as well as take home raffle prizes. On September 14 at the start of ArtPrize Preview Week, Ferris Coffee will issue an open call for baristas to participate in the Latte Art Throwdown. The competition’s judging criteria and prize structure will be announced alongside the open call. Next month, Ferris Coffee is slated to open their second coffee shop in the heart of downtown Grand Rapids. 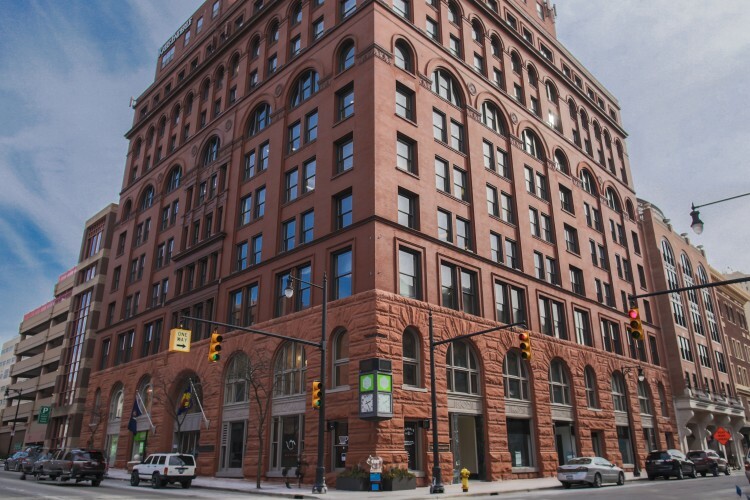 The company’s second storefront -- located in the Michigan Trust Building at 40 Pearl St NW -- served as a pop-up cafe during ArtPrize Seven in 2015. 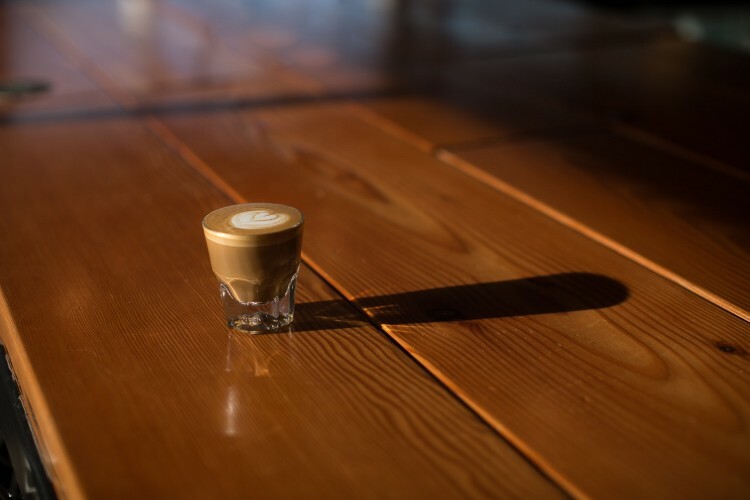 The new shop will feature coffee beverages alongside beer, wine, and small plates, and will cater to smaller groups and area business professionals. ArtPrize Eight will take place in downtown Grand Rapids, Michigan from September 21-October 9, 2016 -- when everyone will have a voice in deciding the winners of $500,000 in cash prizes. Ferris Coffee & Nut Co. is a 92 year-old family-owned and -operated specialty coffee and nut roaster located in Grand Rapids, Michigan. Ferris aims to make specialty coffee approachable and accessible for everyone while building relationships that thrive through its product offerings. The company is committed to the responsible sourcing of its coffees to promote sustainability at all levels of the supply chain. Ferris’ roasting facility and West Side coffee shop are located at 227 Winter Ave NW. The company will open its second coffee shop in the Michigan Trust Building located downtown at 40 Pearl St NW and will also utilize its mobile coffee truck in key areas for the duration of ArtPrize.